Finally, I got chance to bring my Son and Daughter to a Kiddie Salon. Before, we visited Cuts4tots at SM Megamall quarterly just to have my Son's hair cut. It is a kid-friendly environment which is what I really like about that Salon and they really are professional to kids because they know how to entertain them while they are having their haircut. 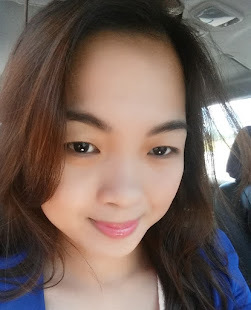 What I really don't like is the way we go to that place from our home which is a little hassle because of the Traffic that we encounter and the volume of people there. 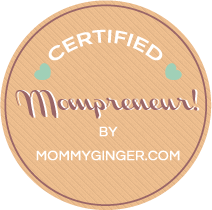 I don't feel comfortable to bring my kids there as what we really want is a less hassle environment. Thank Goodness I found this Salon. It is very near from our home and less hassle and most of all no traffic to encounter. So, what does this Salon have? A CAR sit where the kid can sit while having their haircut. A Monitor / TV where a kid can watch to entertain them while having their hair done. You can choose which one to watch for your baby whether they like Mickey Mouse Club House, Barbie, Frozen, and a lot more to choose from. They have TOYS so they can play while waiting. Although she had hair cut experience already, she is still very active and we can't stay her still! I thought to let her watch Frozen (one of her favorite) will let her sit still but I was wrong! She likes to jump in her seat more when she sees Elsa and Anna! I almost wanted to give up but my hubby came and hold her head and we really make it fast so it will be done very soon. 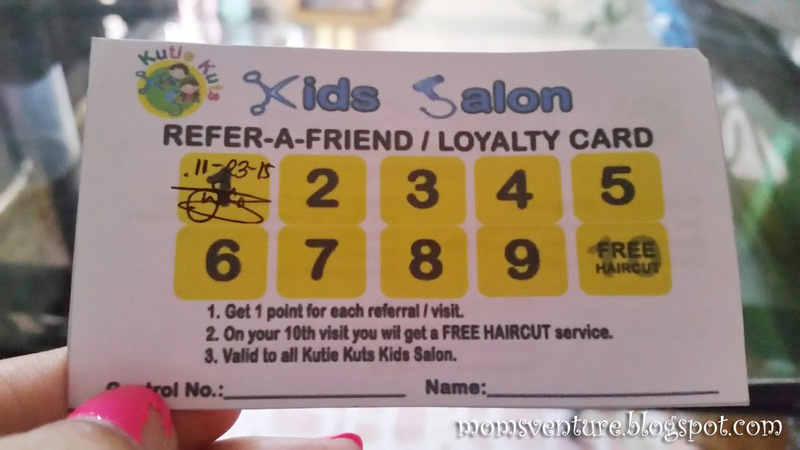 What I really like about this Salon is that they give Loyalty Card where you will have FREE Haircut for your 10th visit. Yey!